Children at Mandeville Primary School have completed a new Herts police scheme in which officers taught them about the law, anti-social behaviour and safety. PCSO Chris Stokes and Police Cadet Sadie Sundt led the Mandeville classes. PCSO Stokes said: "It was a pleasure working with the children. This is a fantastic opportunity for our children to get an insight into their local community and local issues." Mandeville Primary School headteacher Cathy Longhurst thanked the officers: "My Year 6 teachers said that the programme was a great success and that the children really enjoyed the whole experience." Another National Press article featuring our innovative touch-typing programme featured in Primary Update magazine in Summer 2013. Our pioneering touch-typing course has been recently credited in the national press. The article, entitled 'Keys to Success' appeared in the 21st April edition of The Sunday Express magazine. The article highlights the advantages of being able to touch type and mentions Mandeville School as one of the few primary schools in Britain to teach typing. 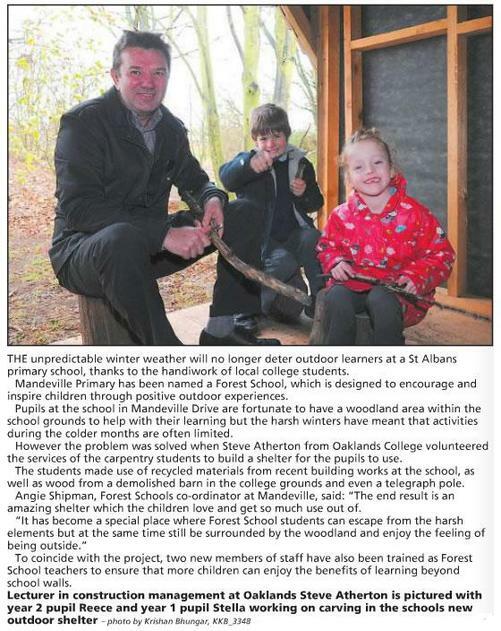 Steve Atherton from Oaklands College vounteered the services of the carpentry students to build a shelter for the pupils to use. 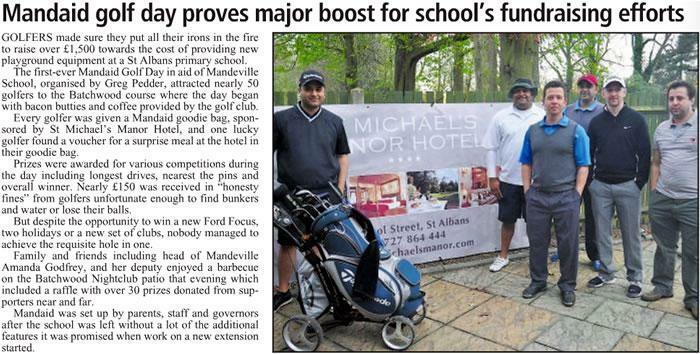 Golfers made sure they put all their irons in the fire to raise over £1500 towards the cost of providing new playground equipment at a Mandeville Primary School. MANDAID is organising a charity golf day at Batchwood Golf club on Saturday 2nd April. If you want to take part, email us to golf@mandevillepta.co.uk or contact the school directly. 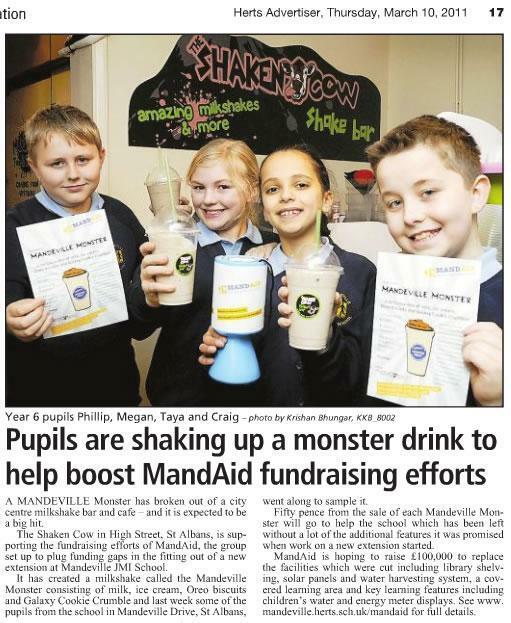 The lastest fundraising idea from MANDAID has come to life with the help of the Shaken Cow Milkbar in St Albans. The Mandeville Monster Milkshake, a delicious combination of ice cream, Oreo Biscuits and Galaxy cookie crumble chocolatte has gone on sale. 50p of each Mandeville Monster sold goes towards the funds for features missing due to budget cuts during the building of our new school. Have you tried one yet? Corporate Social Responsibility or "CSR" has numerous benefits for businesses. Fund raising events can provide networking opportunities, encourage team spirit and give your business a good reputation in the local community. Fund raising events can attract the interest of the local media and increase awareness of your organisation's products or services. 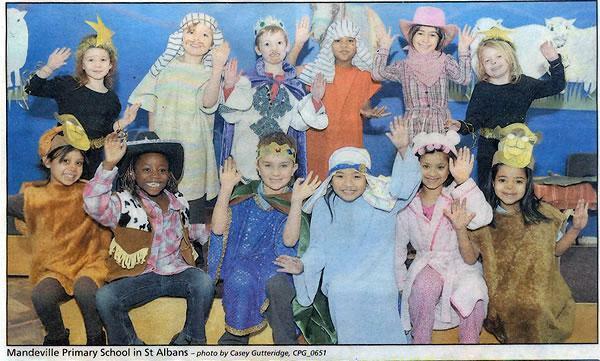 The youngest children in the school celebrated Christmas with two fantastic performances. 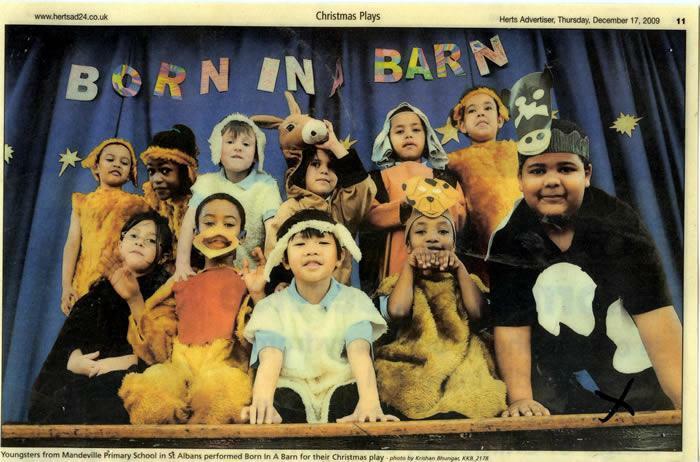 Nursery and reception children shared their Christmas songs whilst the children in year one and two performed "Born in a Barn" a traditional nativity for family and friends. Everyone was extremely proud of their excellent singing and confident performances. 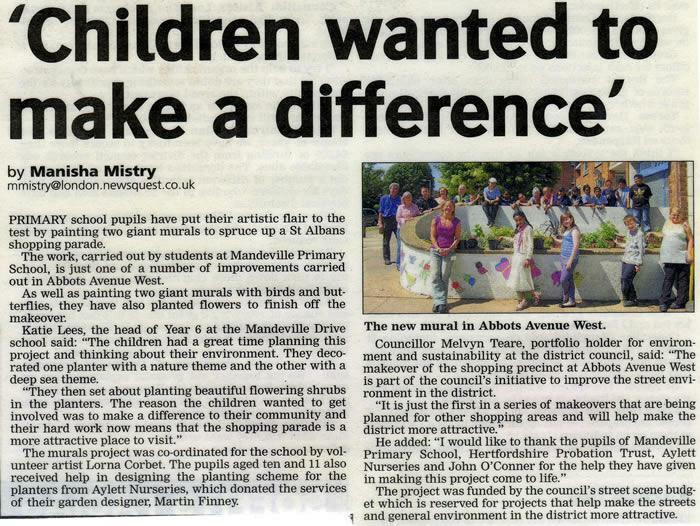 Congratulations to last year’s Year 6, Ms Lees, Mrs Cobert and Mrs Harris who worked so hard to improve the flower beds by the Abotts Avenue shops. 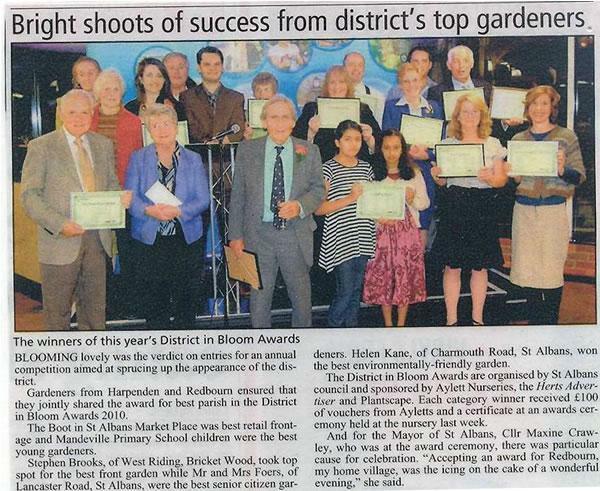 Together they have won the Best Young Gardener Award, presented by St Albans City and District Council. The prize is £100 in garden vouchers from Aylett Nurseries which will be spent on the new planting for our new building in the summer. 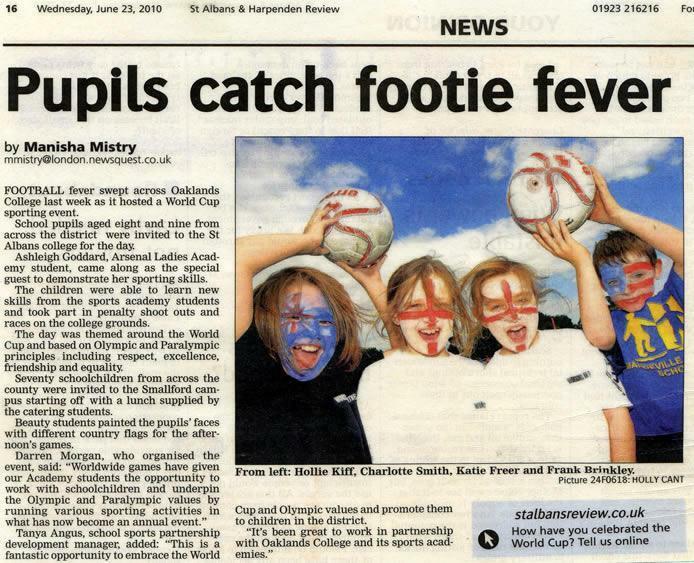 Mandeville pupils brought a busy year of sport to an end by celebrating the World Cup with other schools across St Albans, a great time was had by all. Pupils in year 6 worked with an artist, governor and local councillor to improve the local area by designing and painting a mural around the planters at the local shops. 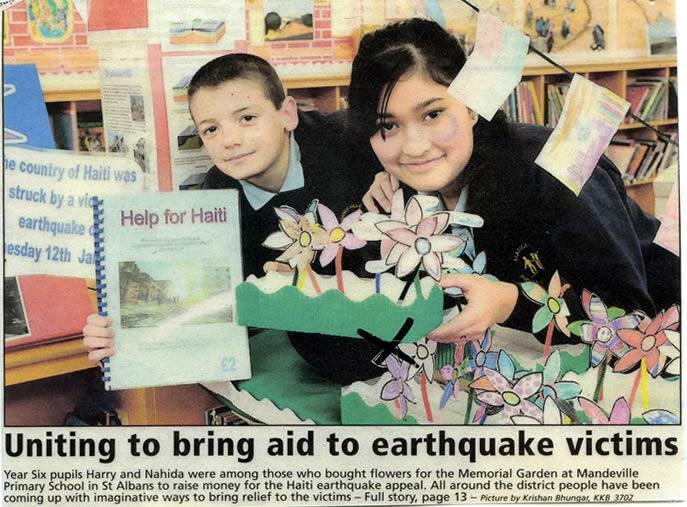 Their design has cheered up the area and made a difference for local residents. 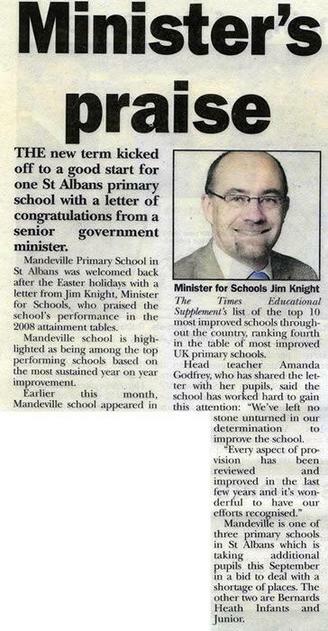 Easter 2009 - everyone was delighted to receive a letter congratulating us on our improved results, putting us in the top ten of the most improved schools in the country. Children in Nursery, Reception, year 1 and 2 treated their parents and friends to an exciting nativity performance, Born in a Barn. Teachers and parents were very proud of the children's confident performances and wonderful singing - a fantastic end to the autumn term.